I spent six hours at the Munich airport on a layover between Boston and Sofia. I passed my time wandering through the slick, light-filled terminal, watching other weary travelers watching the clock and patiently awaiting their own departures. As I explored the city streets of Blagoevgrad and Gotse Delchev, I couldn't help noticing these flyers posted on walls and lamp posts everywhere. I couldn't read them, they were in Bulgarian, but the format was consistent: headline, mug shot, a date, with one or two additional sentences at the bottom of the page. They looked like missing persons flyers. Some were fresh and some looked like they had been posted for years; the cumulative effect was unsettling, like half the city had gone missing and the rest were half-heartedly searching for their vanished loved ones. I learned it is a tradition in Bulgaria to post death notices throughout the neighborhood after a loved one has passed. These notices are renewed annually for as long as a living person remembers the deceased relative. 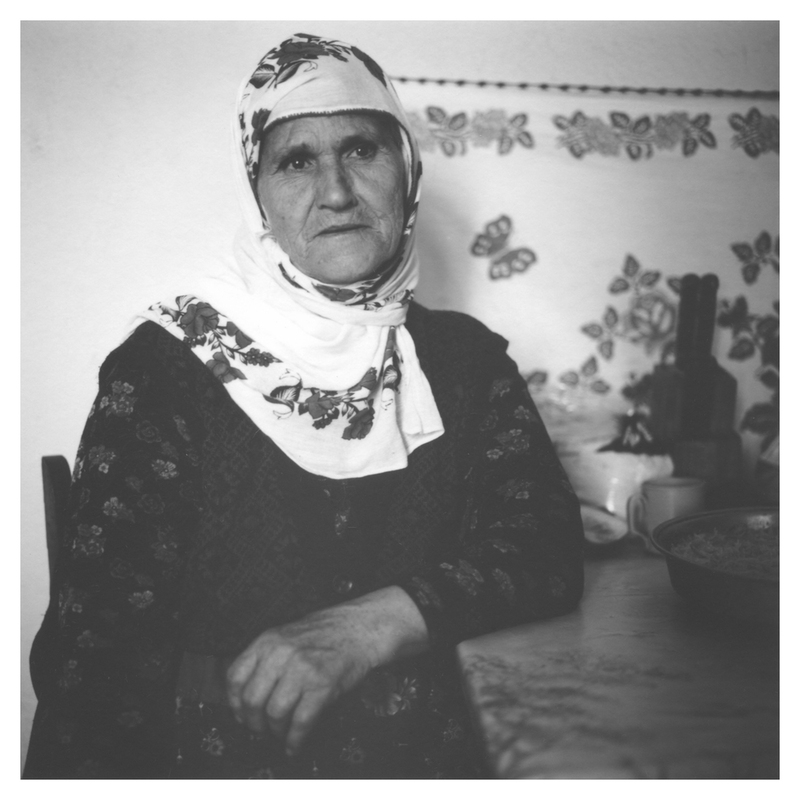 In the village of Gorno Dryanovo, which is located in the mountains of Southern Bulgaria, the matriarch of the Abidinova family sits for a portrait.